The fourth DE that could have been in the conversation for MVP, Anaele looked to be right at home going up against a majority of kids that were a year older than him. He’s just so strong at the point of attack, but can also blow by you with his speed. Like Britt, Anaele is a solid Miami commit. 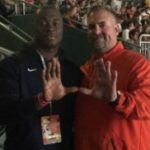 The Hurricanes stay red hot on the recruiting trail as they land a pledge from a local lineman. Add a top pass rusher to Miami’s No. 1 ranked 2020 recruiting class. Miami Norland Top100 defensive end Samuel Anaele gave a verbal pledge to the Hurricanes on Monday after attending the men’s basketball game against Duke inside the Watsco Center. 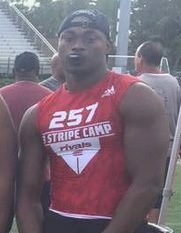 The native of Nigeria picked UM over early offers from Georiga, Florida, Texas A&M and Tennessee. The sophomore impressed defensive line coach Craig Kuligowski back in June when he shined at one of Mark Richt’s summer camps. He also made plays under the lights at Paradise Camp. 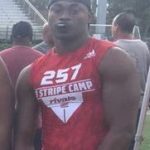 Anaele (6-4, 227) becomes 2020 commit No. 6 for the Hurricanes. He joins a group that already includes guys like Top100 safety Avantae Williams, Top100 wide receiver Leonard Manuel and Top100 defensive end Tre’von Riggins. 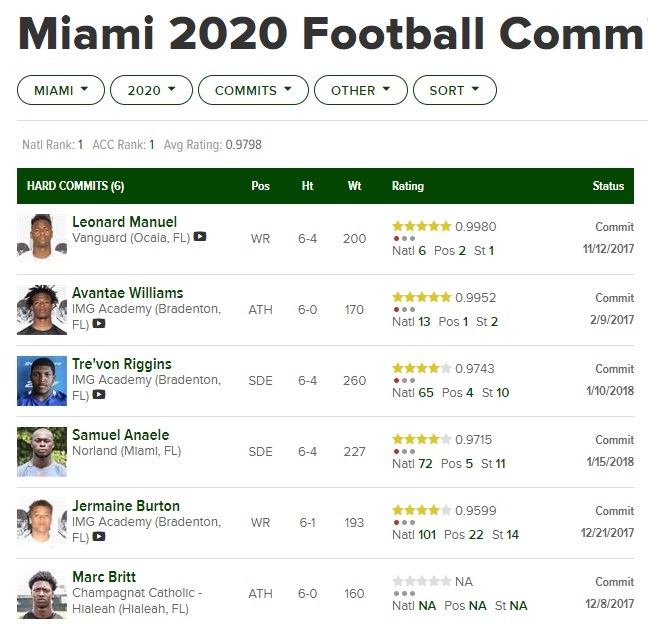 Miami now has the #1 class in 2020. The Hurricanes were impressed with a Nigerian import. 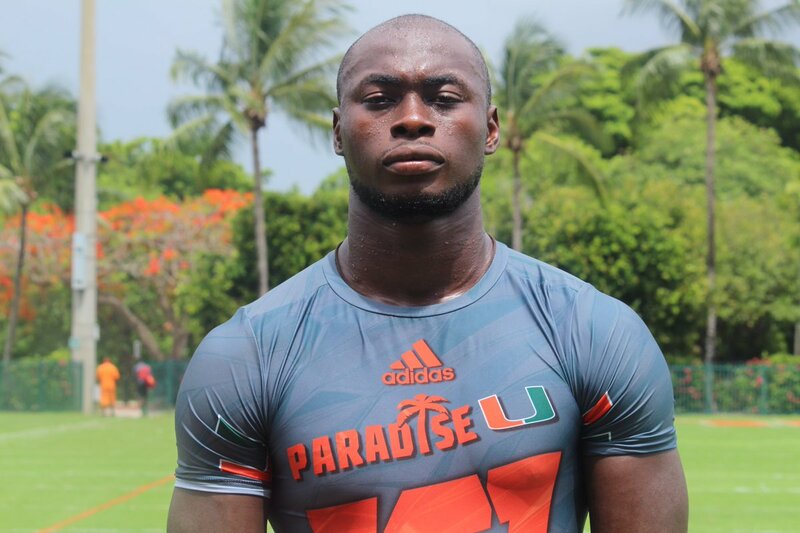 It didn’t take Miami long to realize that they wanted to offer Samuel Anaele. 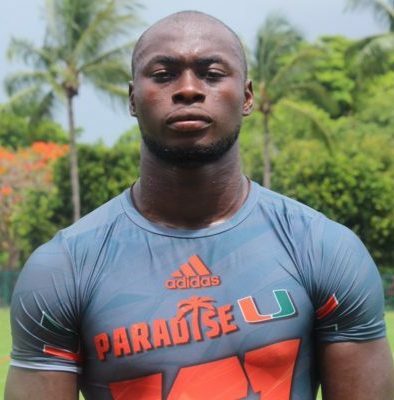 The Miami Norland 2020 defensive end picked up a bid from the Hurricanes on Friday minutes after he impressed defensive line coach Craig Kuligowski during the 9th and 10th grade portion of Mark Richt’s Paradise Camp. Anaele, who is unranked by all major recruiting services at the time, was born in Nigeria. He moved to the United States back in March and started playing football right away. “I’m still learning how to play, but I enjoy it,” he said. “I think I’m doing a good job,” he added. The numbers would suggest that’s just the case. Anaele suited up for Norland this past May and had two sacks for the Vikings in a spring game against Booker T. Washington.